The KK2.1.5 multirotor FC comes as standard with a piezo buzzer which sounds to provide an Arm/Disarm and low voltage warning. If you wish to use the optional super bright LED in addition to the buzzer you will need this cable. 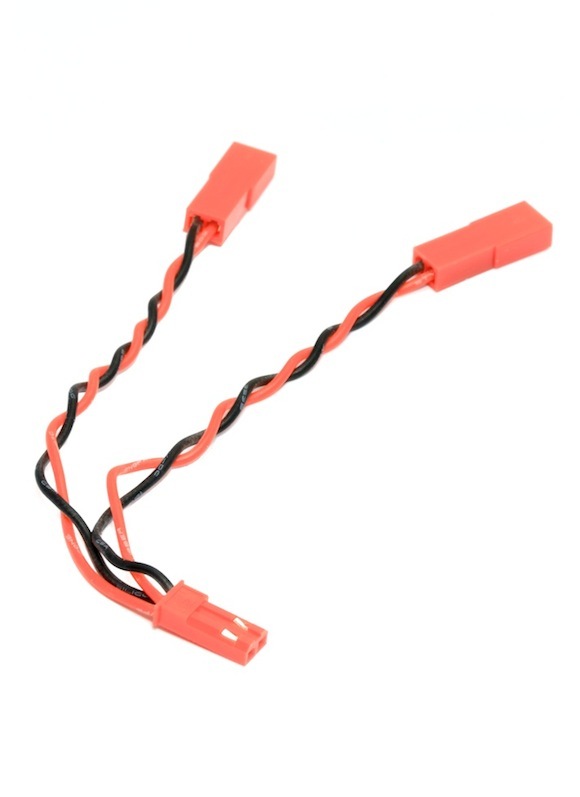 While intended for use with the KK, the Y lead could also be used to connect two JST LiPo batteries in parallel.